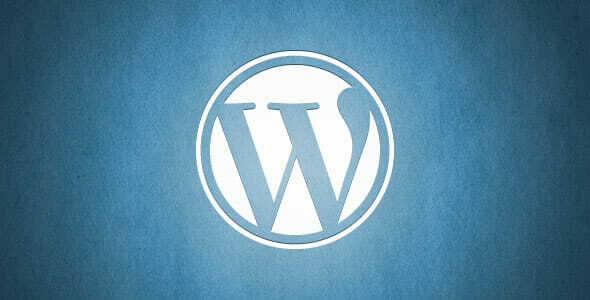 I love WordPress and so other 100 millions websites on the internet are using WordPress. As professional web developer, mostly i develop my clients website using WordPress and our custom-built framework CalibreFx. And with the 3 years of experiences of using WordPress, optimizing it, got hacked, and move to different hosting providers, i decided to compile all those experiences and write this article of how to make the Perfect WordPress Installation. Choose carefully the web hosting you want to use. I wrote an article long time ago to Find Web Hosting Provider That Best Fit For You. When choosing a web hosting, i suggest you to not judge it by the price. Don’t get fool by cheap price, you pay peanuts you will get monkey. If you treat your website as one of your valuable assets, then you need to use professional web hosting provider. In this case i can recommend you to use Inmotion Hosting or Hostgator. I love to use their service because of their fast customer service response. And this blog has track record for 98% of uptime. So if this is your first time of having a WordPress blog or website, i suggest you to have share hosting plan first. Because the cost is not expensive and suitable for start-up. But if your blog/website already have more than 1K visitors per day, i highly recommend you to move to Managed VPS Hosting. You may need to scale up the VPS as your website traffic grows. Ideally 1 VPS server with 8GB or RAM, can handle up to 20K visitors per day. The second most important things you need to carefully choose. You can many beautiful WordPress themes on the net. Start from the premium themes from Themeforest, Studiopress, Elegant themes, Woo Themes, etc.. And free WordPress themes that available from in WordPress themes repository. Things you need to know is you need to find the themes that best fit to your needs and requirements. But above all, you need read the reviews of themes by the community, because there are many WordPress themes that has security hole. Once you get hacked, all your data will be compromised. Please read my earlier article to secure your WordPress blog. Performance will come second after the security, more features of the themes, will come with less performance. You may find the beautiful themes from Themeforest, that has great animation slider, great gallery effect, etc.. But keep in mind that it will decrease your website performance. And more feature come with less user-friendly and higher learning curve. Mobile responsive, this feature now is the must for your website. So make sure your WordPress themes already has this feature. Because your reader might read your website from a mobile phone. Jetpack: this plugin is a must for a WordPress blog. You can find the reason here. Akismet: this plugin help me to fight the spammer. Formidable: this plugin help me to create forms with just drag and drop. Google XML Sitemaps: this plugin help me to create XML site map, so it can easily indexed by Google. Post Thumbnail Editor: this plugin help me to edit my thumbnail images, so it will show the correct part. W3 Total Cache: this plugin help me to optimize the Website performance and connect it to Amazon Cloudfront as CDN. There are still tons of useful plugins out there, but before you install it make sure you know them well. And when the updates come be sure to read the change log before your upgrade them, please read my earlier post about this. After you pick your web hosting, find a good-looking themes and install necessary plugins, now it comes to do On Page SEO. So your website can easily index by Search Engine (Google, Bing, Yahoo,etc.). The most well-known plugin for SEO is WP-SEO by Yoast. You can use this plugin to boost your On Page SEO. Use friendly permalink. You can find it in WordPress Admin > Settings > Permalink. Choose Post Name for the best. Verified your Website in Google Webmaster Tools and Bing Webmaster tools. Submit you Sitemap to major search engine: Google and Bing. Setup Google Analytics to check your website traffic. Optimize your website performance, you can check it using Google Page Speed and Yahoo Yslow. Once you do all of that, keep monitoring your website and let your reader know that you are exist. You can use social media such as Google+, Facebook, Twitter, Pinterest and etc. This is the last one which is easily forgotten by most people. After all you have done the work, you need to have a disaster recovery by backup your whole website and database. There are many services that allow you to back up your website to their server with easy. One of them is Vaultpress, they have real-time backup feature, and it already integrated with Jetpack plugin. So you can relax and more focus on growing the audiences and give useful content. This blog use Amazon EC2 for backup, i create my own script to do frequent backup to Amazon EC2 and securely store there. You can find more information why you need to backup your website. And for the free solution you can find it here. So this is how i setup this blog, and it based on my experiences. If you find some useful plugins, themes or backup solution please fill the comment box below. And lastly i hope that this article can inspire you. Just came across your website – I would like to add that I also make WordPress websites for clients – and have moved from Hostgator to Bluehost to now my own VPS using digital Ocean. finally happy with a $20 / month 2 GB RAM droplet and a $10/month droplet for backup – automated mysql backups and rsync the files. cheers – Selamat pak – Saya tinggal di jakarta tahun 2008 untul dua tahun – love indonesia!! thanks for coming by. How’s the performance of the droplet so far?